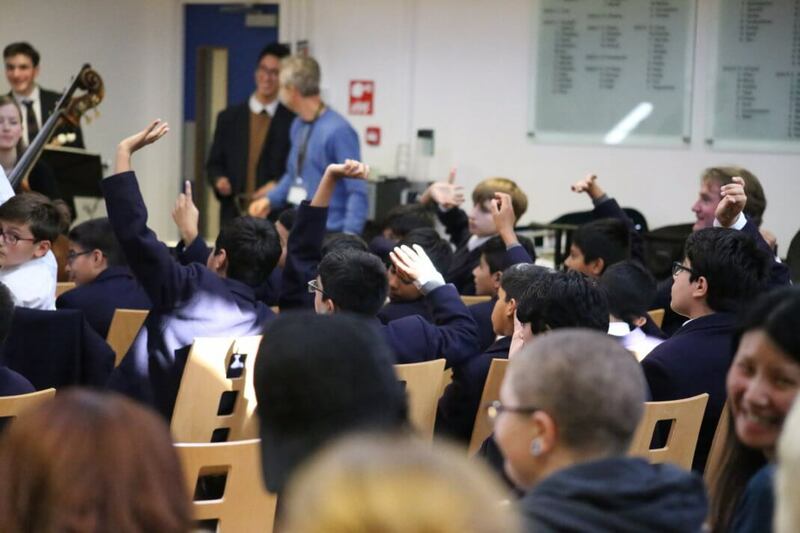 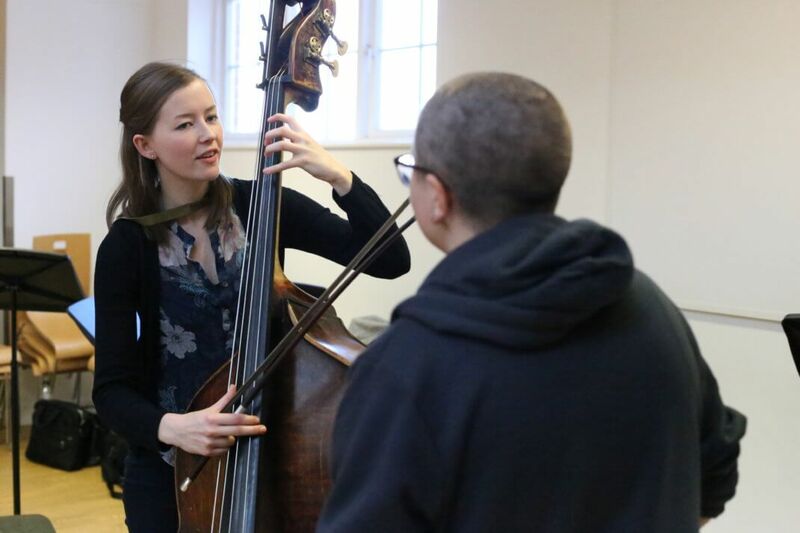 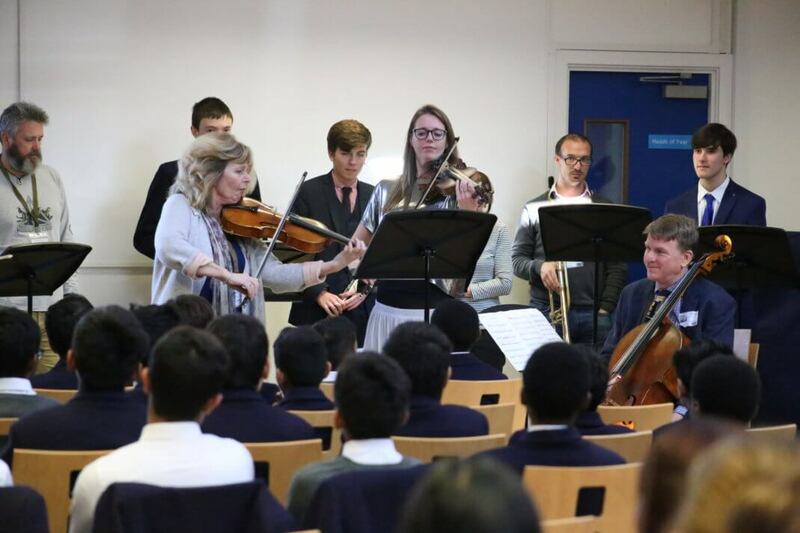 A musical partnership aimed at bringing together young people in North West London to make both music and friends has got off to a harmonious and busy start. 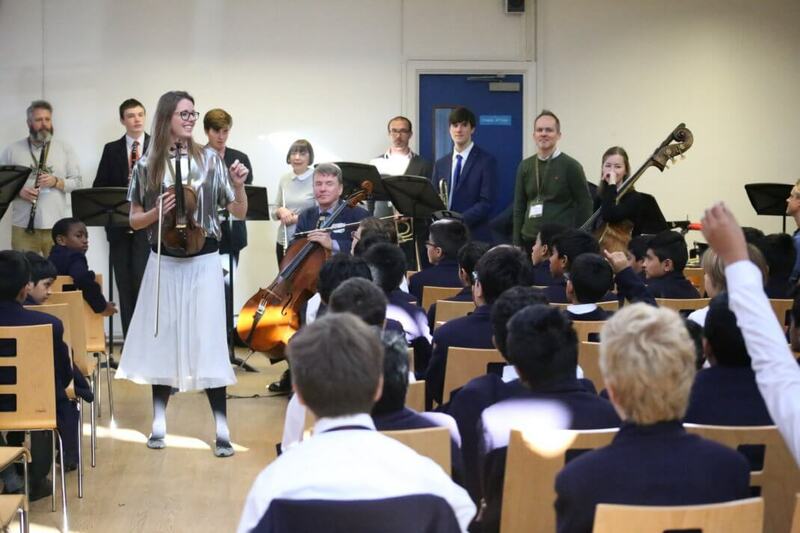 An orchestral flash mob of professional musicians from the London Chamber Orchestra (LCO) and some of John Lyon’s own fine instrumentalists, surprised not one, not two, but three different young audiences on Tuesday 16th October, at the start of the Music Junction project. 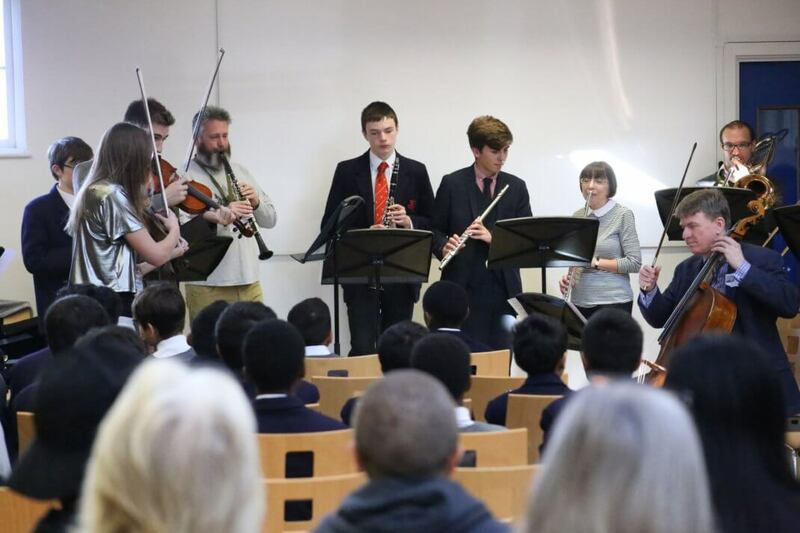 Beginning at Kenmore Park School in the morning, visiting John Lyon pupils and students from the Red Balloon Learning Centre at lunch, and finishing at Cedars Manor School in the afternoon, the flash mob wowed the young audiences, introducing them to various orchestral instruments (including a priceless 250 year old violin) and playing renditions of Prokofiev’s Peter and the Wolf and the main theme from the Pirates of the Caribbean movies. 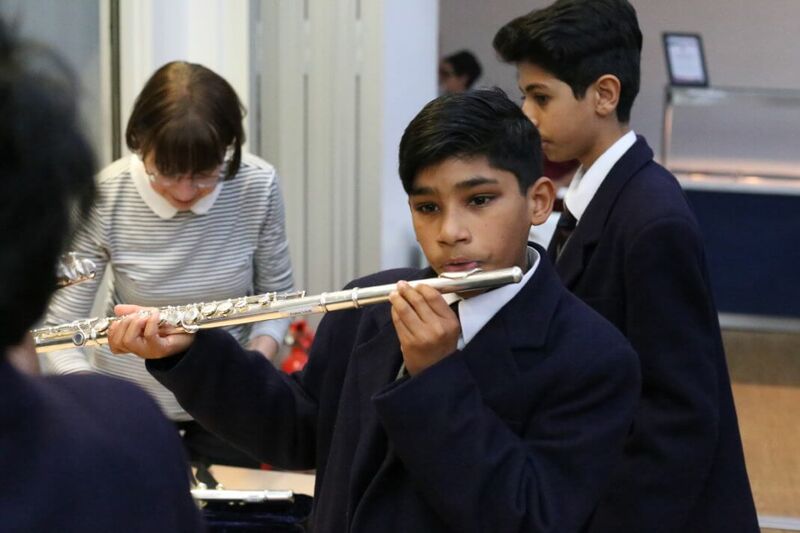 After each performance, pupils were encouraged to try some of the instruments themselves, something all were very keen to do. 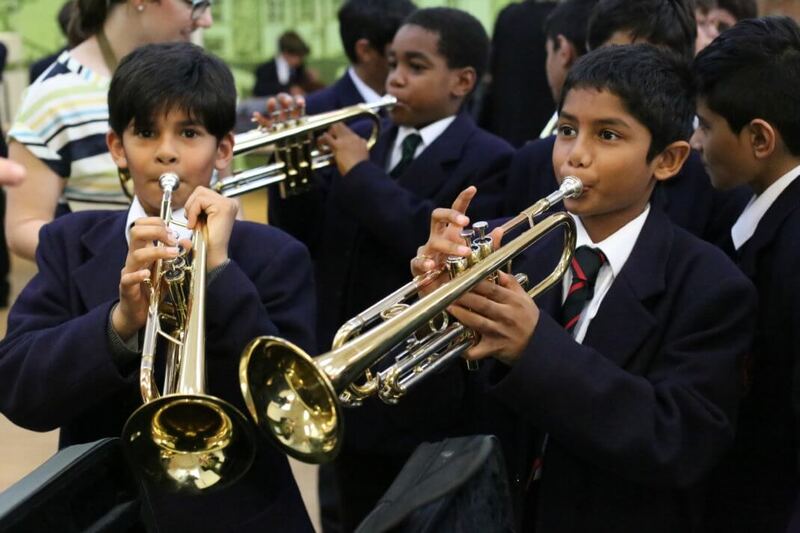 Over the course of this School year, Music Junction will see LCO, John Lyon and Harrow Music Service, supported by John Lyon’s Charity, work to bring young people from very different social and economic backgrounds together to promote confidence, nurture self-esteem and encourage participants to develop empathy and respect for themselves and others within the wider community through music making. 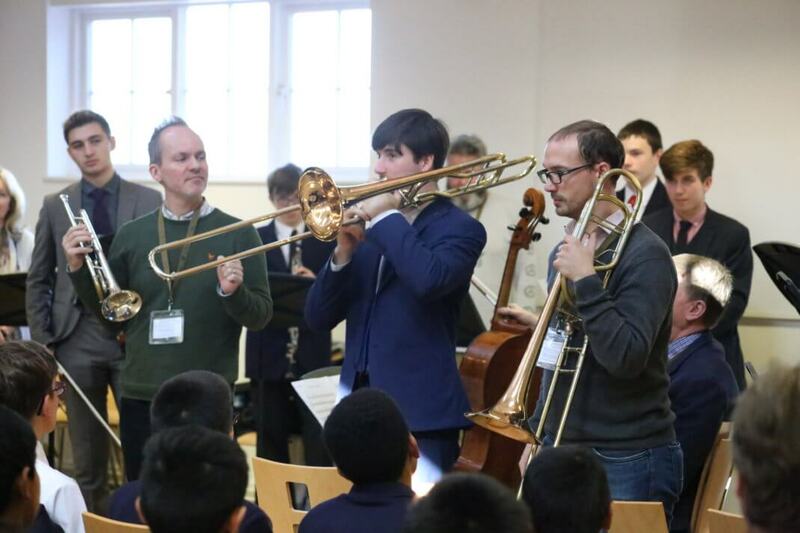 Already an established project in other areas, including Berkshire, Kent and Devon, the innovative musical partnership now comes to North West London and will see John Lyon pupils working with LCO to take music around Harrow and surrounding areas, helping to mentor younger children, before coming together for a big final concert at the end of the year. 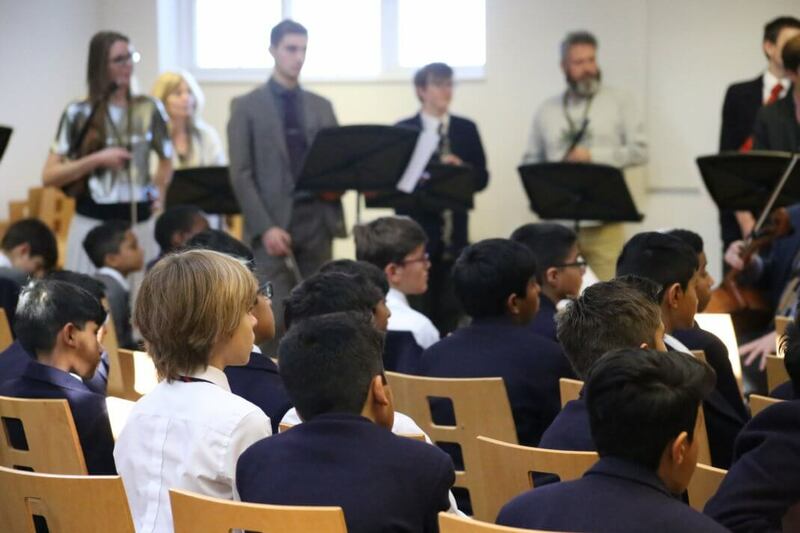 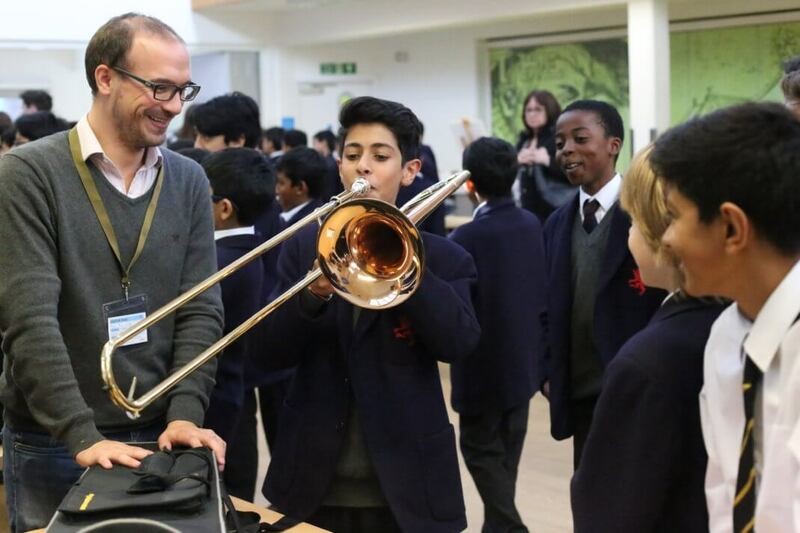 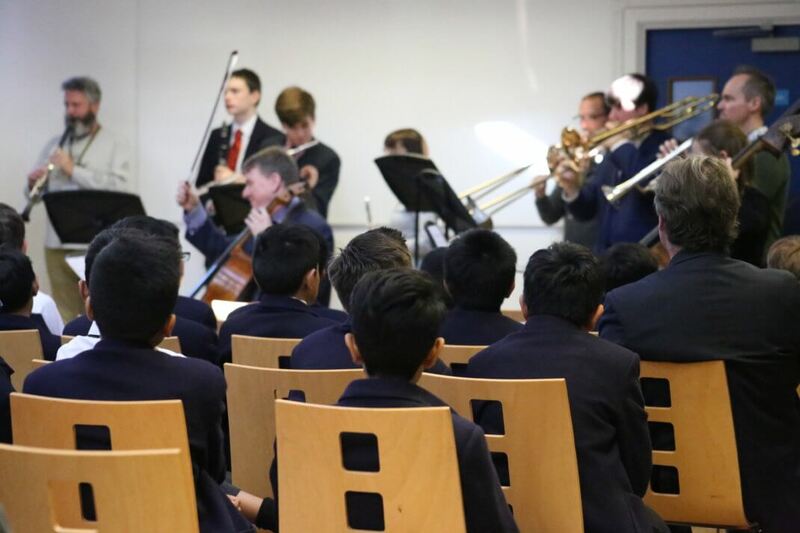 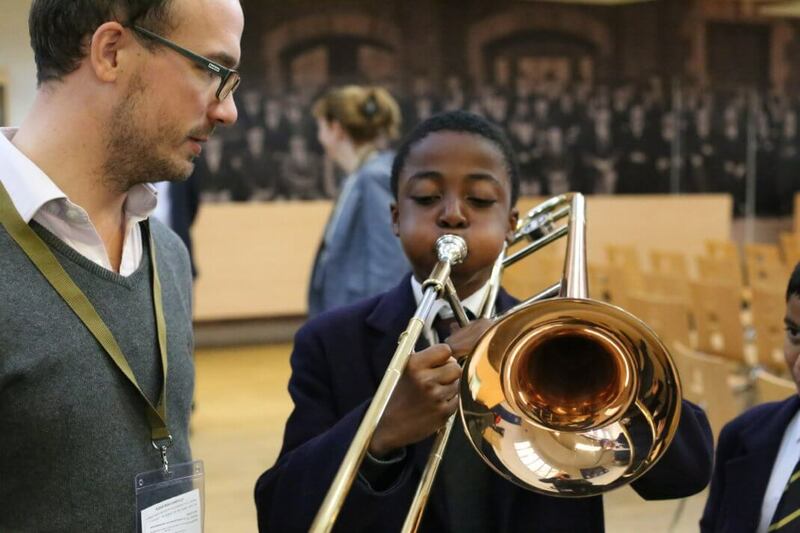 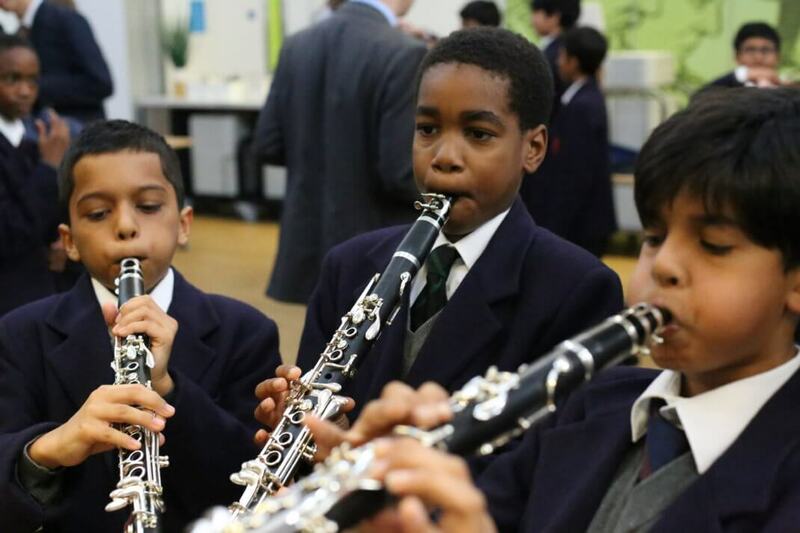 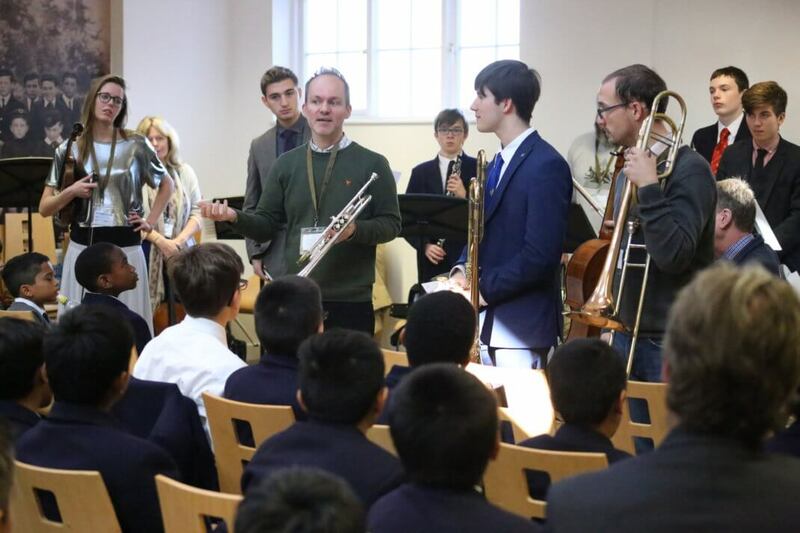 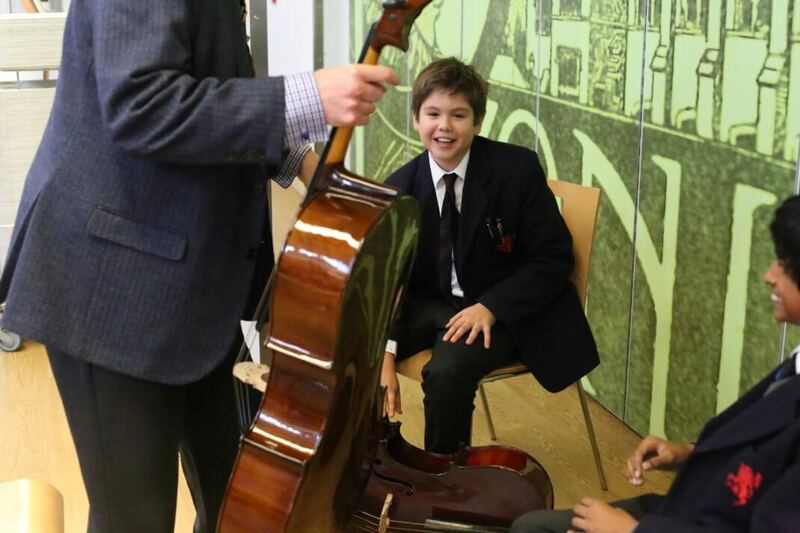 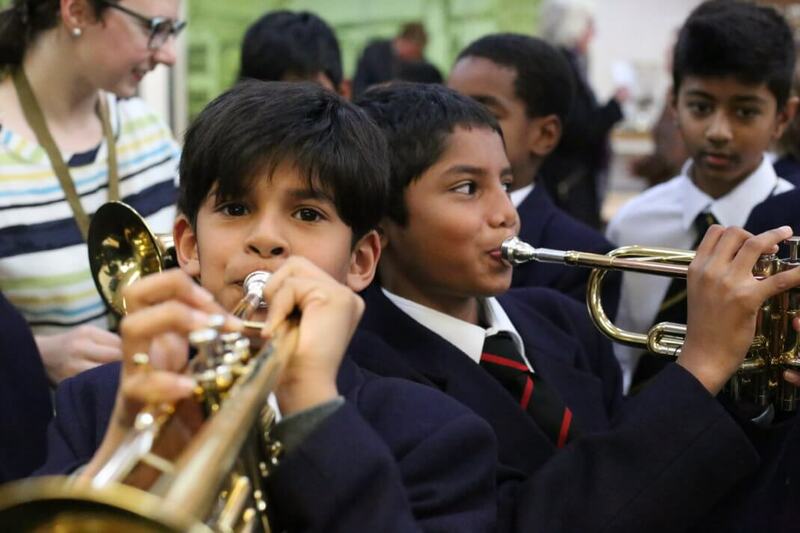 John Lyon’s Director of Music, Mr Huw Jones, said: “We are hugely excited about the Music Junction partnership as it provides great benefits to young people across the Harrow area, regardless of how much musical education they may have already had. 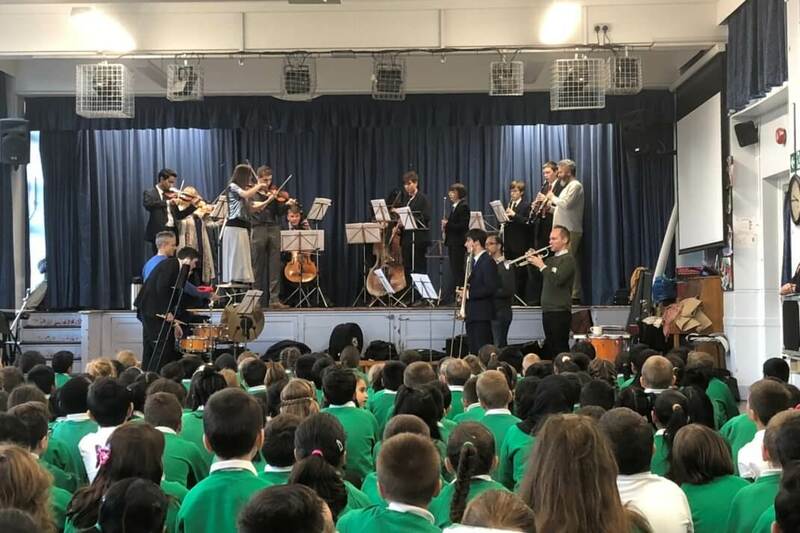 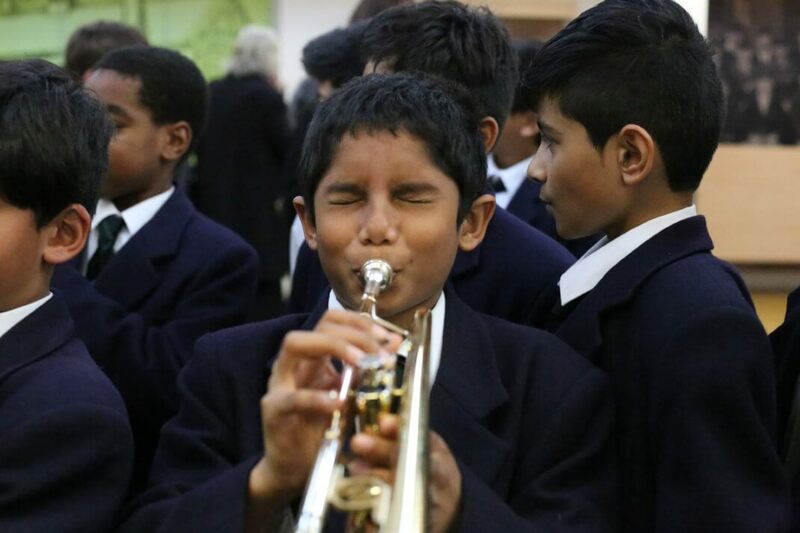 For pupils in some local schools, this may be the first time they have ever seen and heard such an array of instruments.  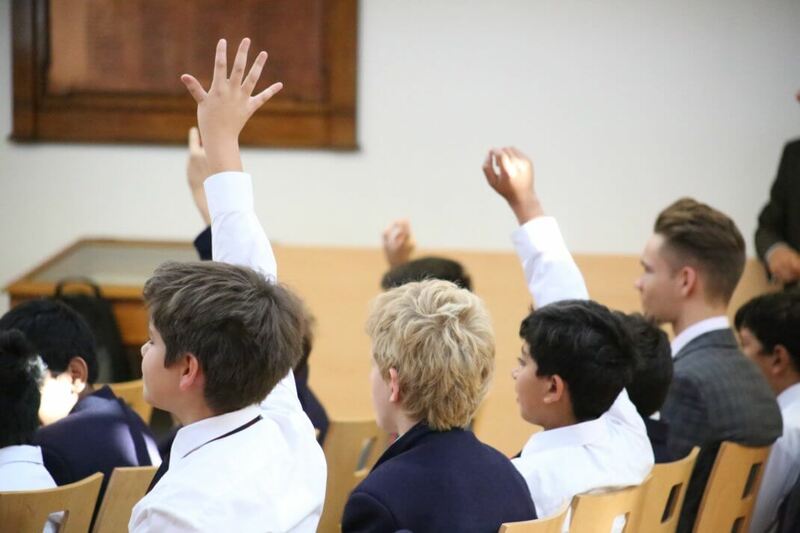 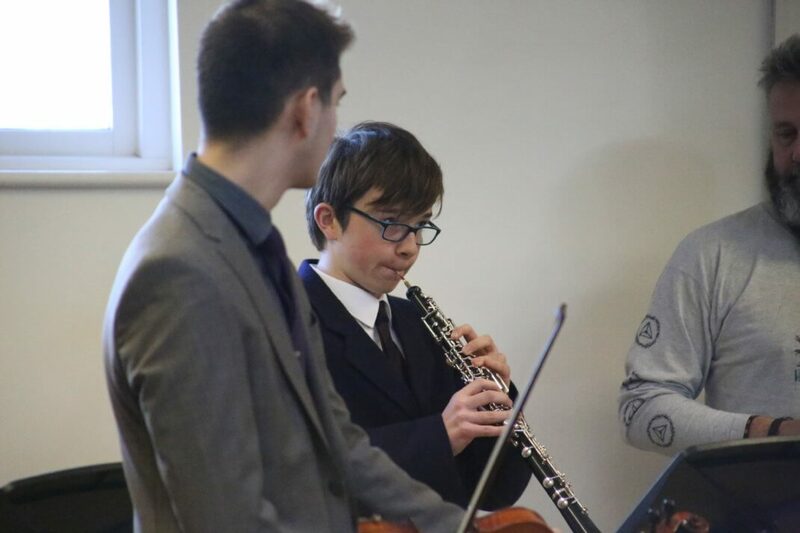 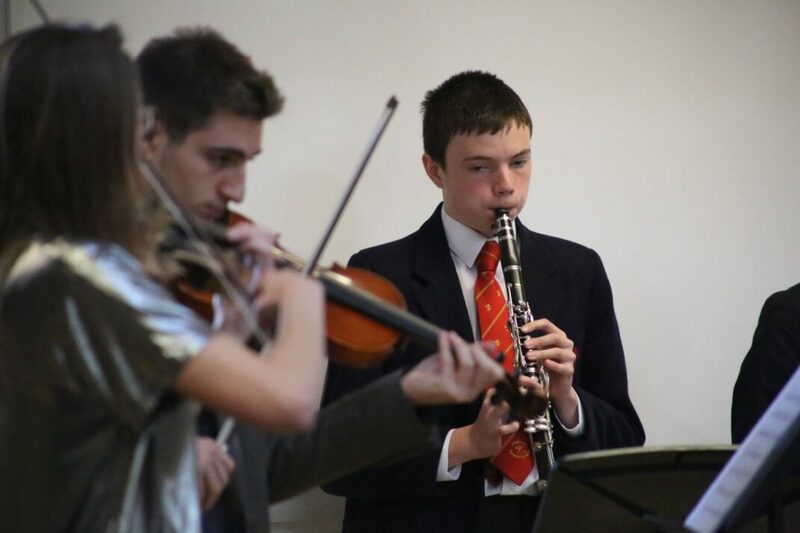 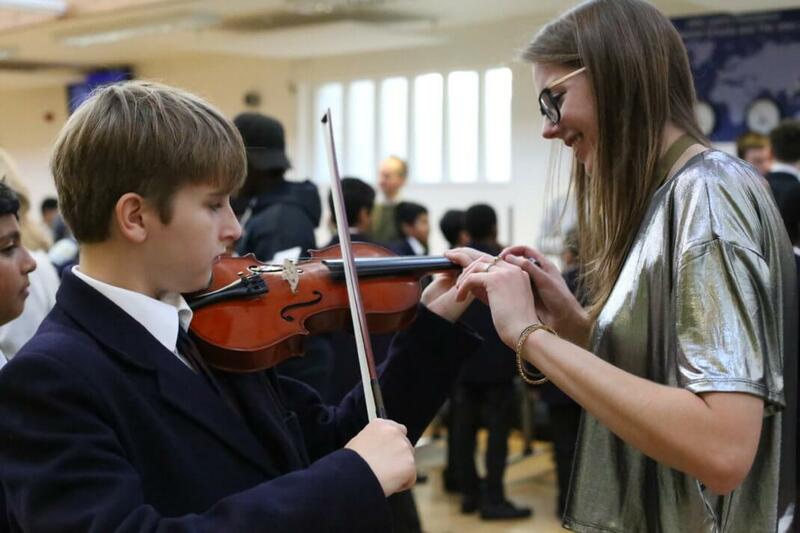 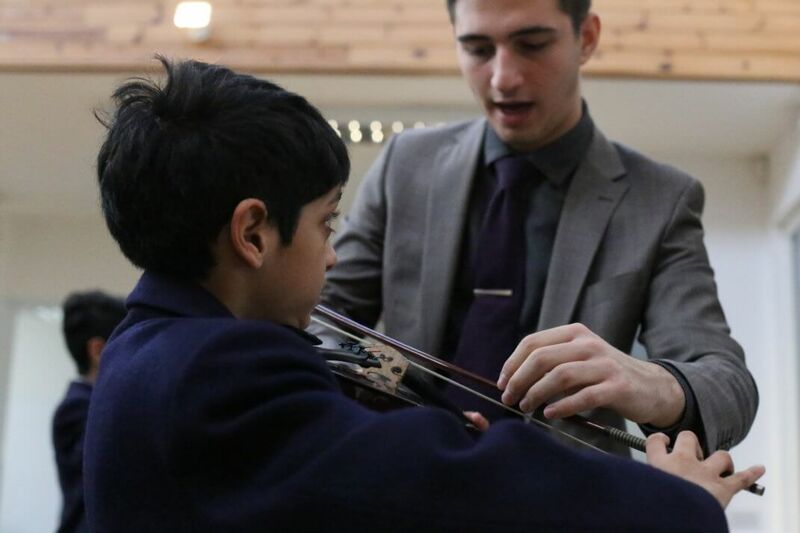 For our student mentors here at John Lyon, it is a golden opportunity to develop leadership skills, become teacher as well as student, and to enthuse about the instruments they play.